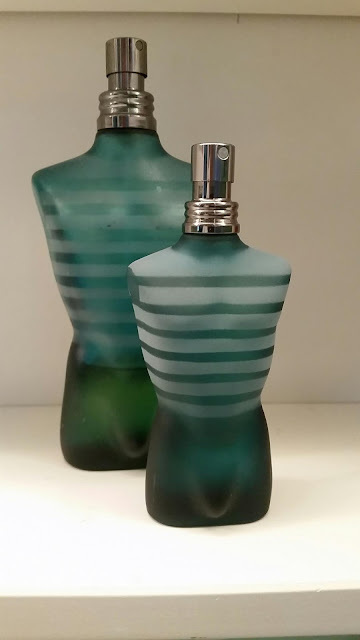 When we first started dating, Tony's cologne of choice was Jean Paul Gaultier. I remember smelling it when I walked into his room. He had others, but this was always my favorite. I've lately taken to wearing it myself. I don't think it's too manly smelling, but I wear it mainly because it makes me smile. Slightly weird? Perhaps... but I couldn't care less. Here's Tony's bottle (which is probably 10 years old), and a mini one I got recently. When I am having a rough day and Adam isn't around, I spritz myself with his scent or put on his deodorant. It's comforting. I understand.